Brigidine Sisters have partnered with Misean Cara and are contributing to help finance the Birthing facility in the Ruben Centre in the Mukuru slum in Nairobi. 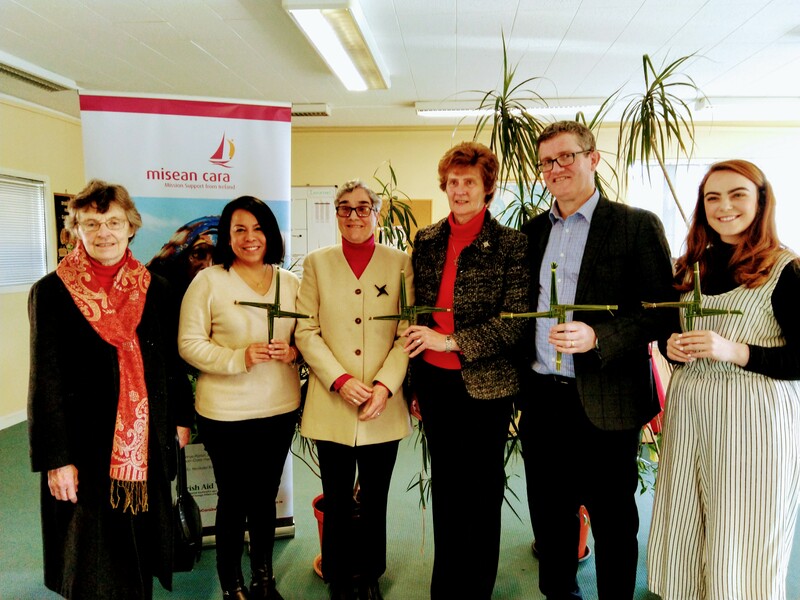 Several Sisters recently met with the staff of Misean Cara for an update on their activities and presented them with woven Brigid’s crosses. Loretto Ryan csb, Heydi Foster CEO, Anna Hennessy csb, Theresa Kilmurray csb Seamus O’ Gorman deputy CEO, Sinead Murray Project Officer (Health), Misean Cara.